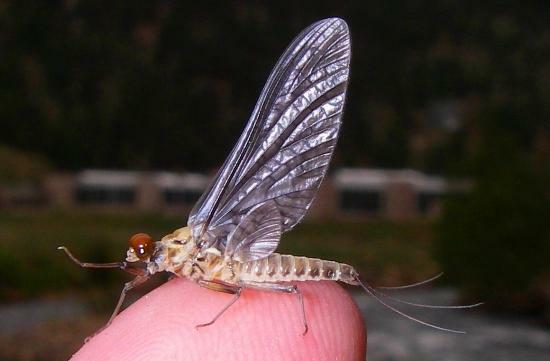 Colorado Trout Hunters is pleased to offer fly fishing-oriented on-stream entomology classes. If you have a hard time figuring out what kind of bugs you are looking at, or if you are not quite sure what fly you should put on in a certain situation, our aquatic entomology class is a must for you. In the class, you will learn the different identifying features of aquatic insects. We will explain their life cycle (invaluable to a fly fisherman) who is trying to “match the hatch”. We will show you different techniques to catch, examine, and identify insects in the stream. We will also examine trout stomach samples to see what different fish are feeding on in different conditions. At the end of the class you will get a peek inside the instructor’s personal fly box, and they will explain what flies to use to best imitate the natural insects trout feed on in Colorado. This three hour on-stream course can help take your fishing knowledge and fly fishing abilities to the next level. We are happy to work around your time schedule. You can be assured that when you book one of our entomology classes, you and your group will have the instructor’s undivided attention during your private session. Price is $100 based on two person minimum. Get a group of four or more and the price is $80 per person. 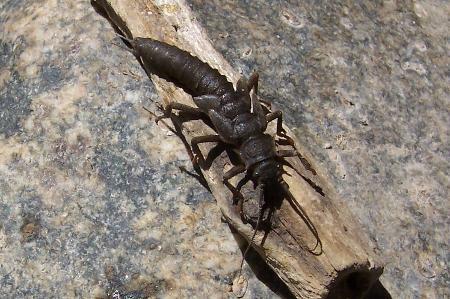 Adult Caddisfly photo taken on a Small Colorado Stream.